ONE-OWNER LOCAL PA TRUCK!!! 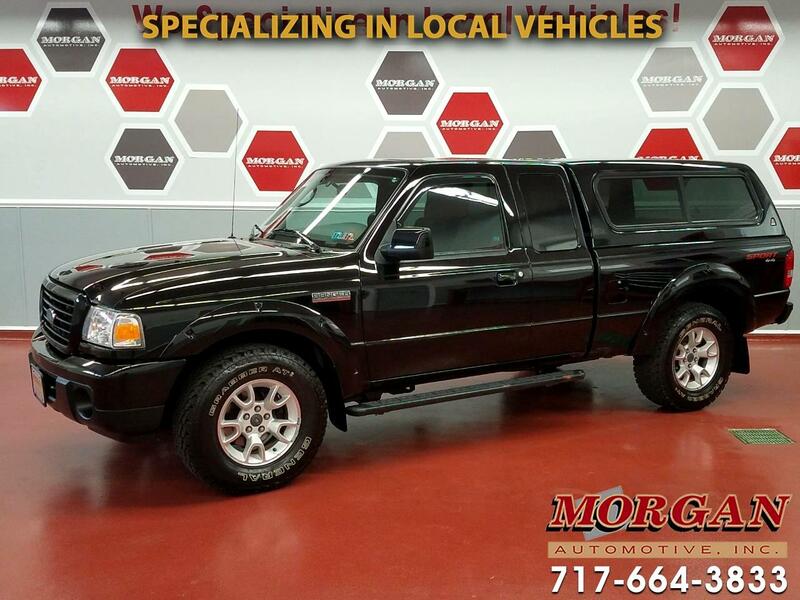 VERY NICE CONDITION AND LOW MILEAGE 2009 FORD RANGER SPORT 4x4****ONLY 43K MILES!! ****CLEAN CARFAX****This is a beautiful Ranger with matching painted Leer cap and bedliner. It is equipped with power windows, locks and mirrors, remote keyless entry, step bars, AM/FM/CD/SXM/AUX radio with 6-disc changer, cruise control and air conditioning. Has a new PA inspection, fresh oil change, and tires and brakes are in very good condition.Comes with a 1-month/1,000 mile powertrain warranty with options to extend coverage for added piece of mind. Trades are welcome and financing is available but limited due to the age and mileage of the truck.